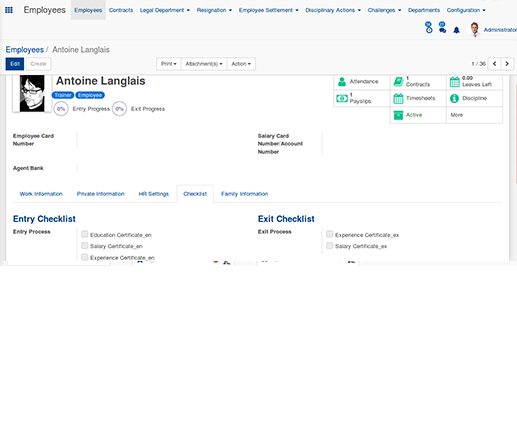 Open HRMS makes it easier to hold employee or staff in an organization more accountable to standard operating procedures. 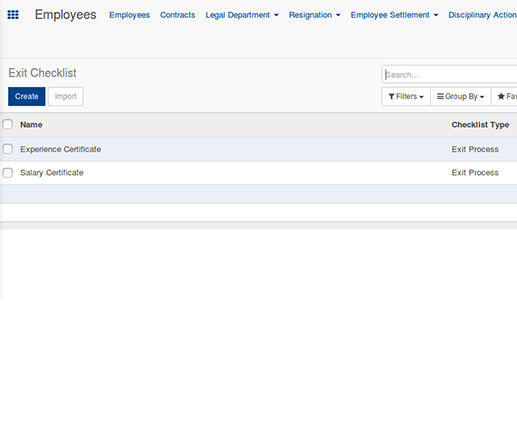 Open HRMS Employee Checklist, the unique feature provided by Open HRMS enables companies to manage the employee certificates. 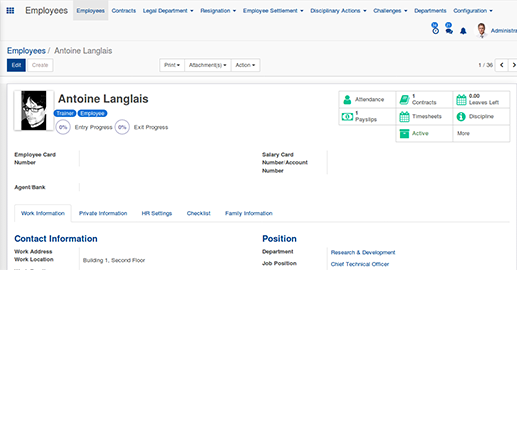 The entry checklist option is used to track the progress of employee certificate and its verification at the time of new employee hiring. 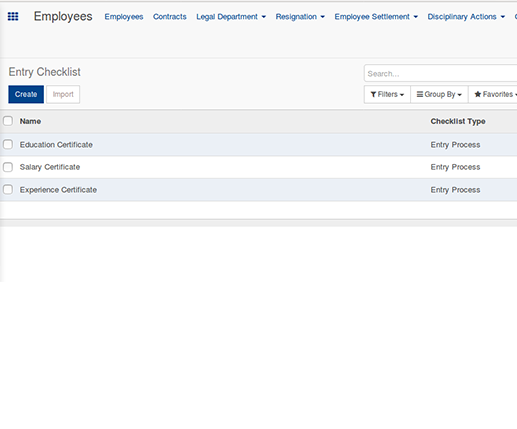 The exit checklist option is used to track the progress of the employee certificates at the time of their resignation. 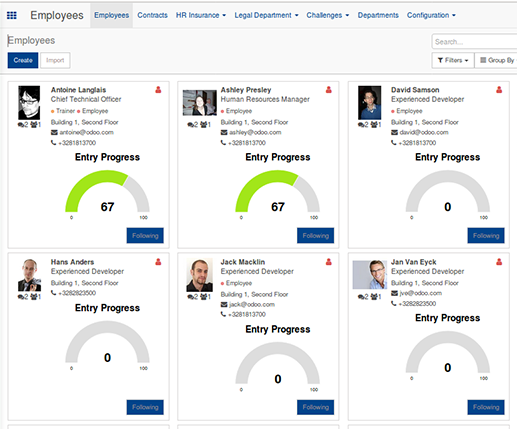 Tracking of both entry checklist and exit checklist made easy with the Kanban view of Open HRMS Employee Checklist. 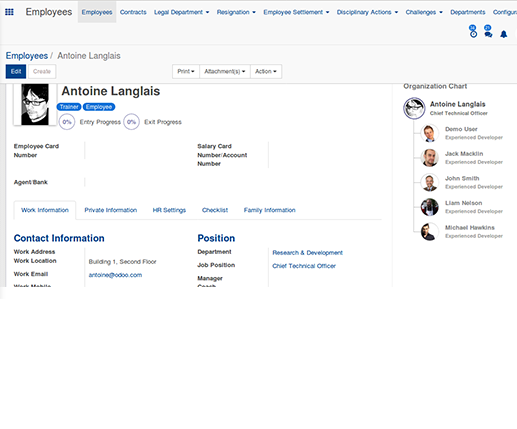 View each and every employee separately from percent pie data of checklist. 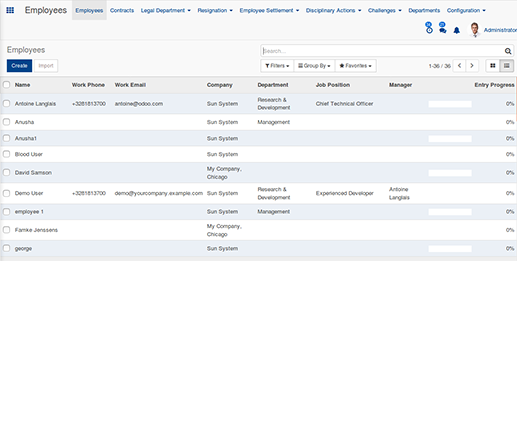 Tree view which is available on the employee tab enables the user to analyze the entry check. Details like work phone, work mail, job position, entry progress etc. are made available here. Used to mark the completed checklists, that is, entry checklist and exit checklist. Attach various documents such as salary certificates, educational certificates, experience certificates, gratuity certificates etc. to each employee in the individual employee view.